Here's one thing less to worry about for your next getaway! 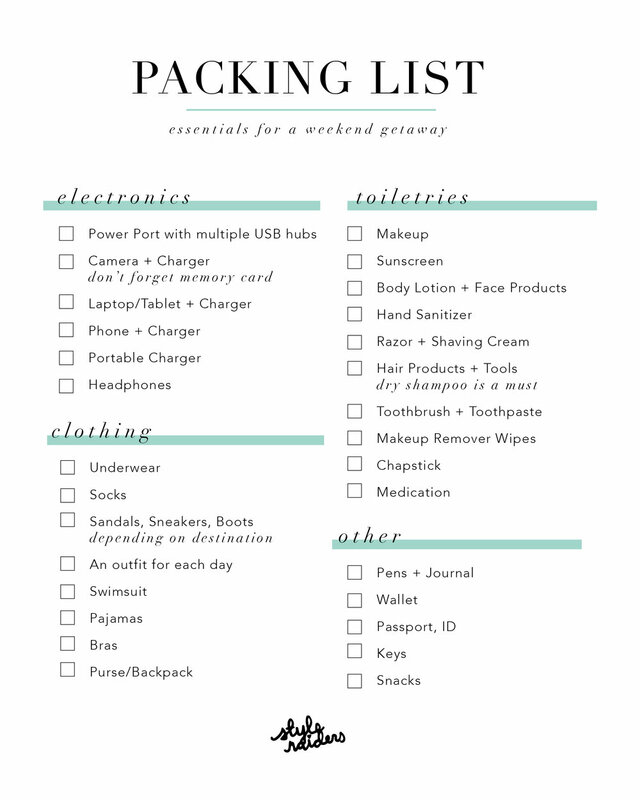 This is my personal packing list that i use for a base for all my trips. Of course this will change dependin on your destination. Feel free to use, print and share! Safe travels! Mission and 24th Street in San Francisco is the epicenter for Latin businesses. While gourmet shops and eateries are opening up near this district, you still have the traditional family businesses that have customers keep coming back for more. 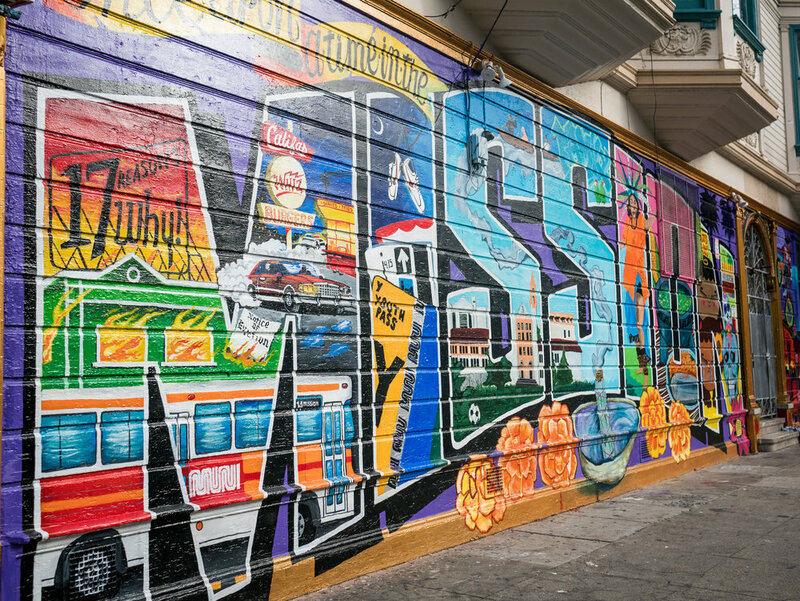 This area is also filled with vibrant murals expressing the local culture and vibes of Mission. On our tour, we got to view and learn about these paintings and the artist. 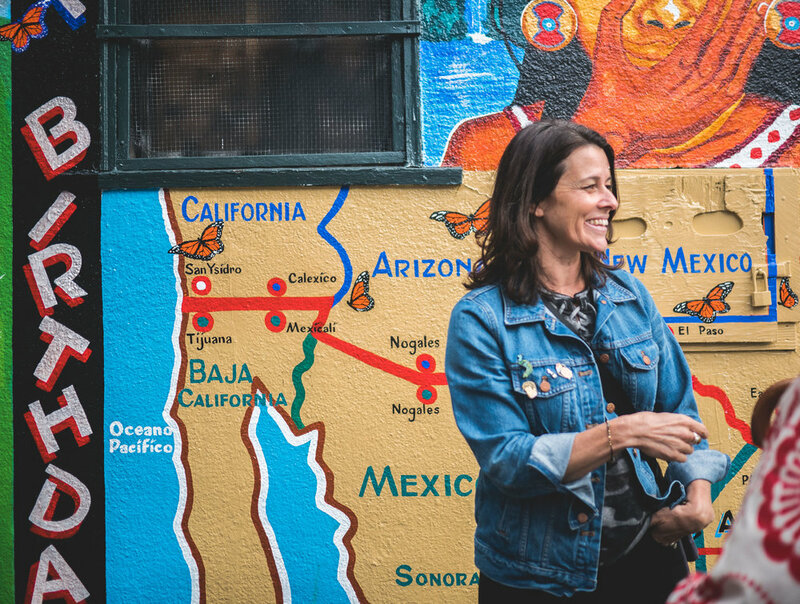 Join me on Edible Excursion’s Mission 24th Street tour, where we tasted yummy sandwiches, the best Mexican food and a cone of ice cream! Our first stop was Wise Sons, a Jewish deli that became well known for their pastrami sandwiches! We sat on a long bench outside the shop while we waited for our food. 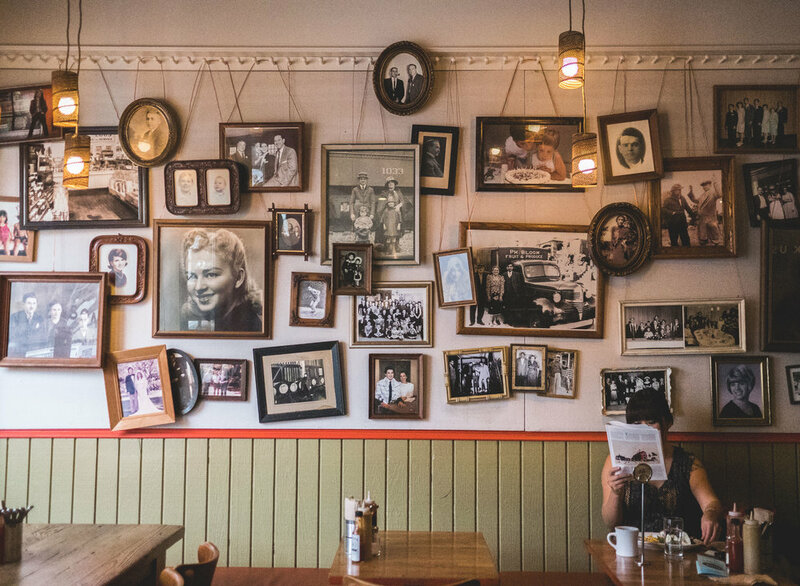 The interior has a wall filled with portraits of all the family and friends that have supported Wise Sons throughout the years. The place feels welcoming and warm which reflects into the food they serve. 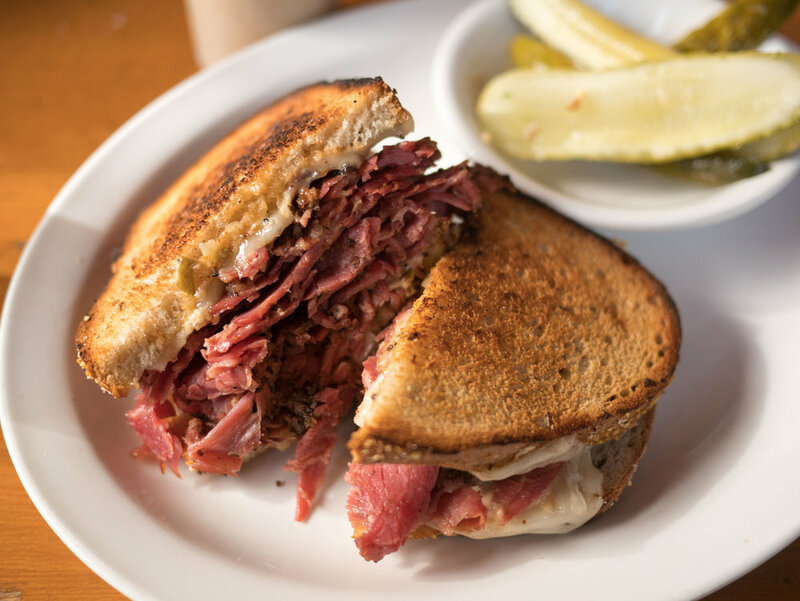 We got to sample half of the pastrami sandwich, the bread was absolutely perfect and I drizzled their house-mustard to add even more flavor. We also got to taste some tangy pickles and washed it down with a cream celery soda. Usually, the lines are out the doors, so that’s when you know their food is good! Next, we walked down 24th street and hopped into D’Maize. They had a beautiful outdoor space in the back which is apparently rare for San Francisco. Chef Luis came out to talk to the tour group about how they started and about the food they make. While he shared his story, we got to try their pupusa! It’s a small portion, but they are packed with yummy ingredients and fresh off the griddle. We got to taste their tamarind agua fresca, which was super refreshing. D’Maize is well known for their catering service! 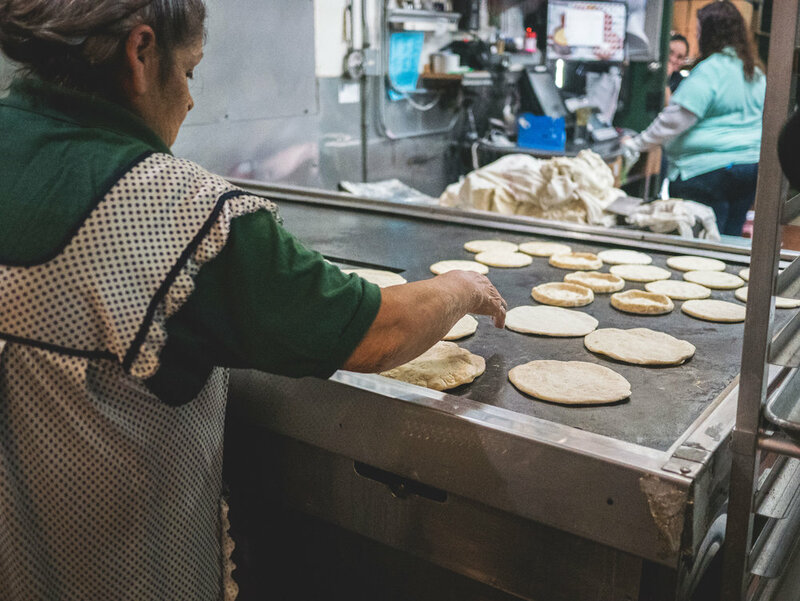 Our next stop was La Palma, a small place known for their masa. We got to see behind the scenes where they turned their fresh corn into masa which then can be used for tamales, tortillas and other things. There we got to try a tamale with a side of house-made tortilla chips and salsa! The food here at this Mexicatessen is absolutely amazing. If I lived here I’d be a regular tortilla customer! Next on our walking tour was El Farolito, one of the best spots in Mission to get an al pastor taco! Filled with yellow benches and an old-school jukebox playing latin tunes, this hole in the wall is authentic from it’s interior to the food. We got to taste their al pastor taco and a cup of horchata. Their food is on the spicy side, just a warning for those who can’t really handle the heat. The horchata is a perfect pairing with the taco, which is tasty even with some spice! A bay area favorite, Humphry Slocombe is known for their innovative ice cream flavors and incredible taste. Once we entered the cute little parlor, we all fell in line to try some ice cream. Our tour guide, suggested we sample as many flavors as we wanted! Once we fell in love with one, we were able to get it in a full-size cone or cup. I tried the Secret Breakfast, which is Bourbon and corn flakes and Andy had the corn flavor, Diebencorn. Even in cold San Francisco weather, our whole group enjoyed their ice cream with smiles on their face! Thank you, Lisa for being an amazing and knowledgeable tour guide! 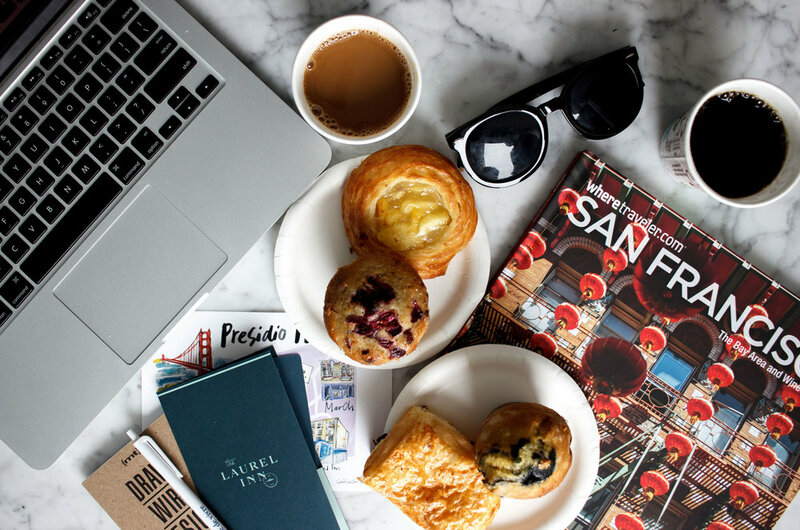 Don't forget to book your Edible Excursion Food Tour when you visit San Francisco next! For more information about their tours, click here. Our flight was delayed, but we finally landed at SFO on Friday night. We took an Uber to our hotel and ordered some food using Uber eats! The Lauren Inn is a perfect boutique Joie de Vie hotel, situated in the quiet Presidio neighborhood. Check in was a breeze and they still had cookies available when we arrived late at night. Our room was on the second floor and we had a beautiful city view. It was clean, the furniture was modern (they have marble!) and the beds are so comfortable. I had the best sleep after walking around the city all day! San Francisco is a melting pot of cultures. We got to experience Edible Excursion’s Japantown Tour with our amazing tour guide, Alice. In the span of 3 hours, we walked around Japantown learning about the history and culture of the district. We stopped at several restaurants to taste some popular dishes. Seven stops later, our stomachs were full and happy. We got to eat bowls of steaming ramen and swirls of green tea soft serve ice cream. If you want to read more about the tour, here is my recap blog post. After our food tour, we Ubered to the Cable Car Museum. It’s funny that we’ve been to San Francisco so many times, but never really understood how the famous cable cars work. At the Cable Car Museum, you can watch the giant wheels turn the cables that run through the city streets. 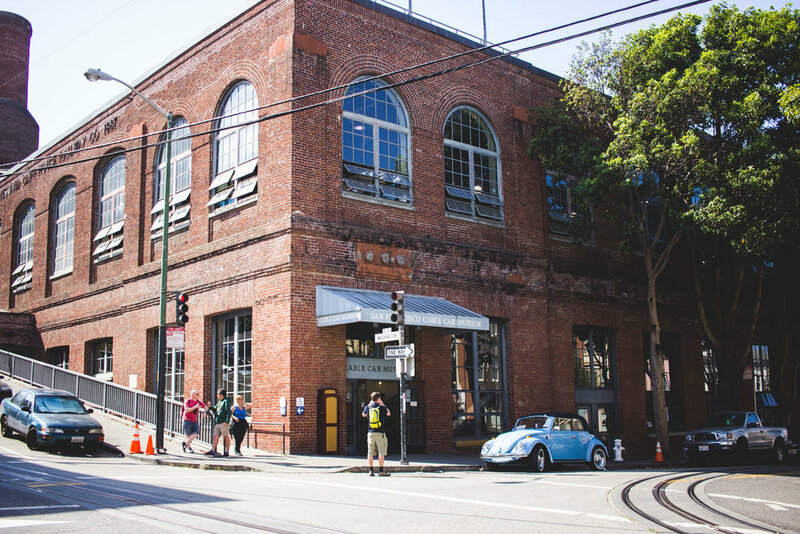 It’s a quick visit if you want to dive into SF history and nerd out on mechanical engineering! The best part is that admission is free and it takes less than half an hour to go through the whole thing. Since we were heading to Union Square right after, we decided to take a cable car to complete our museum experience. It cost $7 to hop on and off and you get a souvenir ticket. All the seats were taken on our car, but I got to stand on the side and hold on to the railing! I didn’t realize how thrilling it was to ride so close to the edge, especially going down the steep San Francisco hills. We hopped off the cable car and explored Union Square. If you have time to shop, this area of the city is filled with big brand stores. We walked around and popped into The Lark, a small bar near Union Square, to try their specialty drinks. We were getting hungry, so it was time to head over to Sushiritto on Kearny. We got to sit down with Peter, the owner of Sushirrito, and talk about the story of the restaurant and what’s to come. We decided to try some new rolls, since we always order the same thing, and cheered with some sake. Sushiritto is a San Francisco gem, and if you need a foodie reason to come visit, here you go. Their ingredients are top quality and once you taste them, you’ll understand why customers keep coming back for more! After our dinner, we decided to get some Boba Guys, only a few minutes away. I definitely recommend getting the Matcha Latte with boba! Their boba balls are absolutely perfect and sweet, but you can customize your drink however you want. With boba in hand, we ventured off to Chinatown to do some window shopping and photoshoots. Pro Tip: if you want some picture perfect spots, go to the street with all the lanterns, there shouldn’t be many cars driving through, and the colorful staircase with food names painted on each step. Woke up bright and early to walk to Fillmore street from our hotel. Only 10 minutes away, we ate at this cute breakfast spot called Jane. There we had a super healthy breakfast and yummy lattes to start off our day right. My favorites were the Dragonfruit Smoothie Bowl and the Egg White Sandwich. I loved their to-go coffee cup designs, especially the blue floral print. After breakfast, it was time to check out and rent a car to drive to Livermore for Amber and Duy’s wedding. We had an amazing time in San Francisco, there’s always something new to do every time we visit.